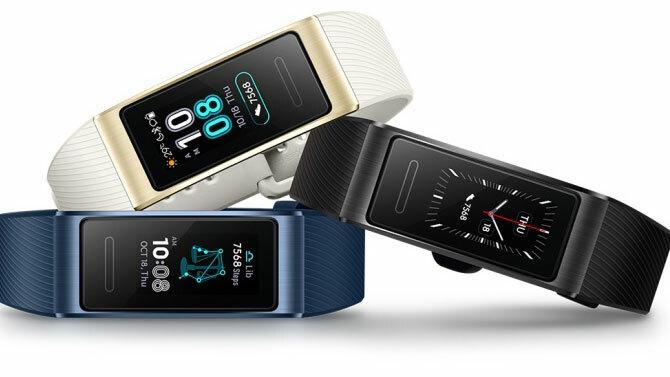 Huawei has released its newest fitness trackers in both the US and UK. Alongside the headline-stealing Huawei Mate 20 and Mate 20 Pro, the company recently introduced a new series of wearable devices including the Huawei Watch GT, Huawei Band 3 Pro and Huawei Band 3e. The latter two in that list are both fitness trackers, and Huawei has now put them both on sale in the US and UK from a variety of third-party retailers. We&apos;ve yet to fully review either the Huawei Band 3 Pro or Band 3e so we can&apos;t give you a full verdict on whether either is worth getting. You can now buy either from Amazon in both the UK and US, while other US retailers include B&H Photo Video and Newegg. The Huawei Band 3 Pro is the more expensive of the two products and offers a 0.95-inch AMOLED color display, built-in GPS and VO2 max features. It&apos;s launching at $69.99 in the US on Amazon, while those in UK haave to pay a bit extra with it costing £76.49. Then there&apos;s the Huawei Band 3e, which is a budget fitness tracker at $29.99 or £24.99, and which should last for a full two weeks between charges with average usage and can track a variety of exercises including swimming.